Movenpick Resort Karon is one of the largest and best located hotels in Karon, one of the most beautiful beaches in Phuket. The hotel is across the street from a superb sandy bay and the small town of Karon is just next to the hotel. 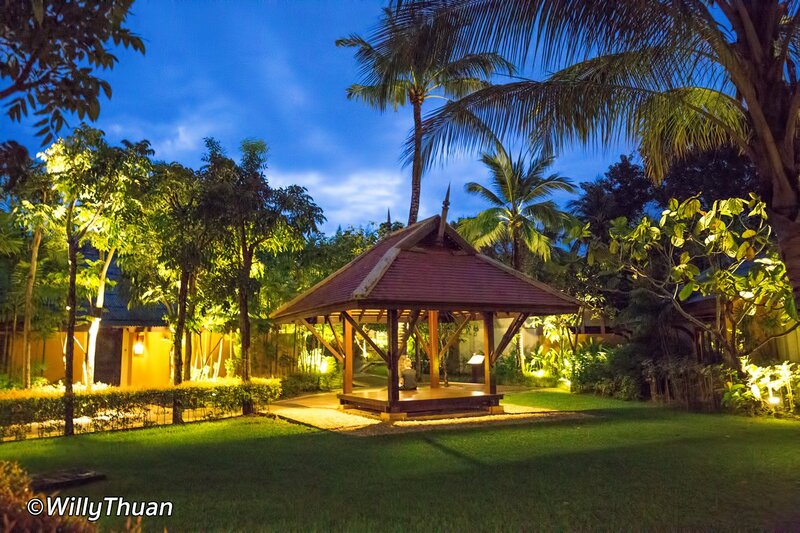 Movenpick is close to everything and still manages to be a surprising oasis of peace with immense gardens. 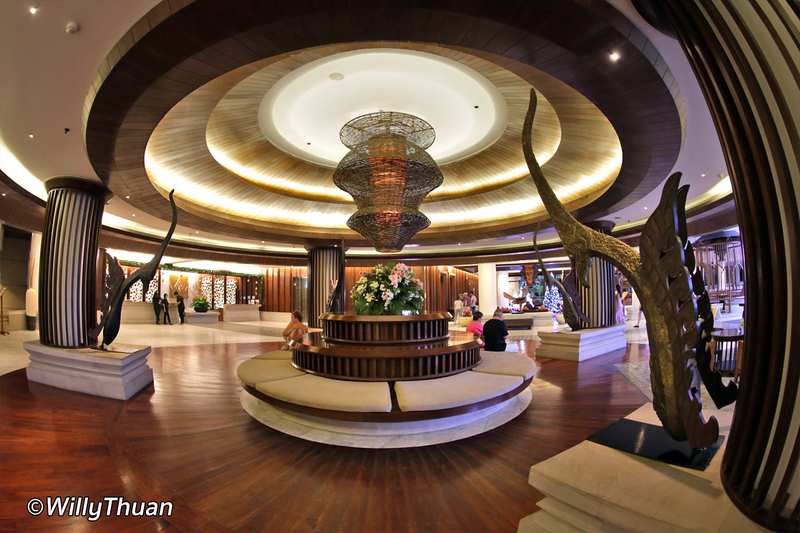 Movenpick Resort Karon is big, and the impressive lobby is the first place you walk in . 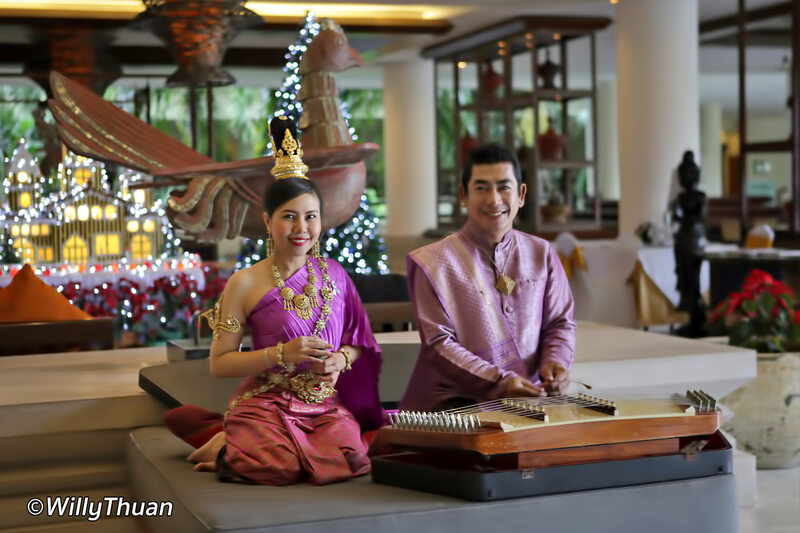 It’s beautiful and welcoming, with a soft Thai music played live to set your Thai holiday mood right from the start. 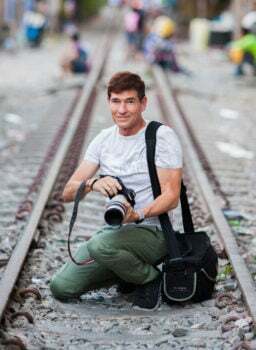 The crew is well-trained and knew I stayed at Movenpick several times before. Of course I guessed the computer told them so, but nothing warms you more than ‘Welcome back sir’ (including a similar message on my door!) Small touches do make a difference, especially when reaching you room after a long flight. Staying at Movenpick Resort Karon is all about location and convenience as we wanted to be able to drive out easily in all directions. It’s well priced with great staff and so many things to do… or do nothing! 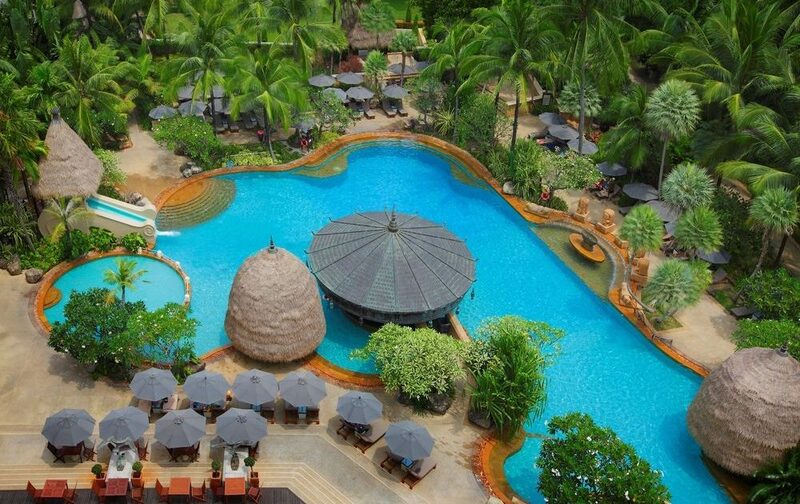 Movenpick Resort Karon offers many room types for all budgets. The most affordable are the 223 Superior Rooms and Suites, most with sea views, all in the main building. 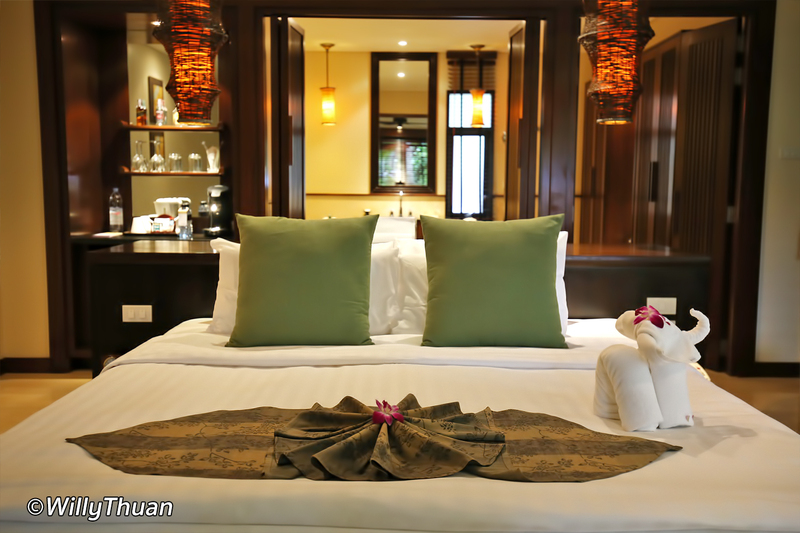 The best choice is of course the 113 Garden Villas and Penthouse Plunge Pool Villas distributed all over the gardens and the large pool. 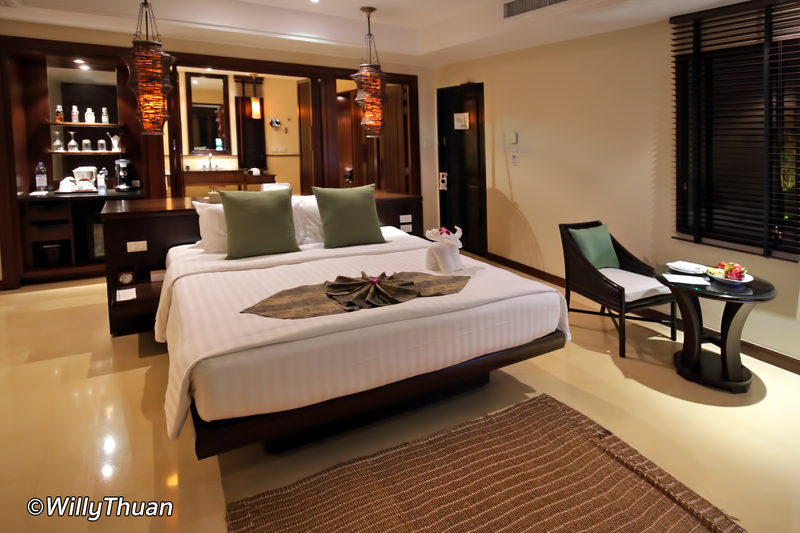 The hotel is also great for families, with 2 or even 3 bedrooms’ family suites. 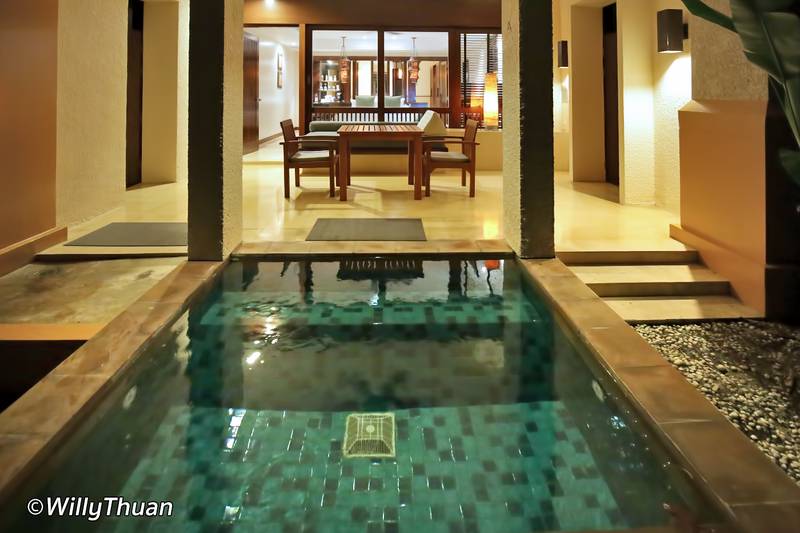 We choose to spend a couple of nights in a Plunge Pool Garden Villa. Well designed, very spacious and with high roofs, the villa has a tropical feel to it and plenty of seating to relax. 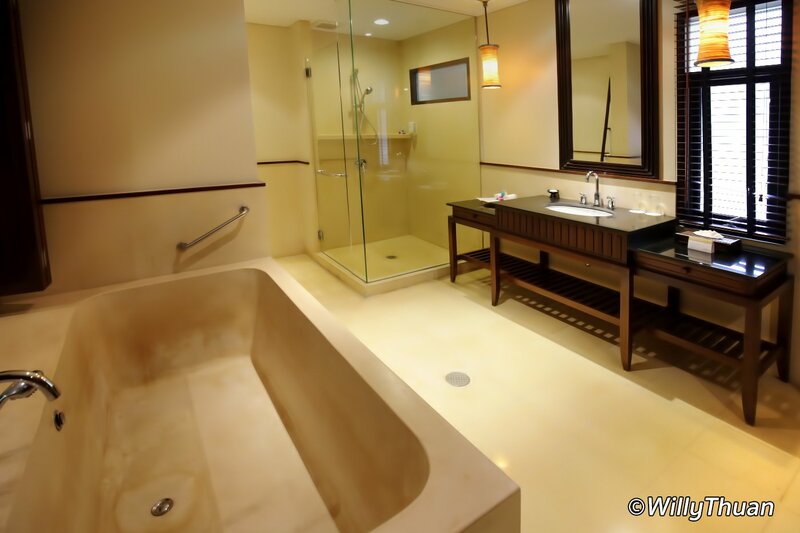 The bathroom area is also surprising large with a bathtub larger than usual (takes time to fill it up!). You’ll have also plenty of space for your luggage stuff, plus a good working station just behind your large bed and enough plugs for all your phones and laptops. The plunge pool is quite small so don’t go picturing yourself doing laps but it’s perfect to relax in the sun with a drink after the beach. Between your room and your pool you find a dining area for your in-house meals. 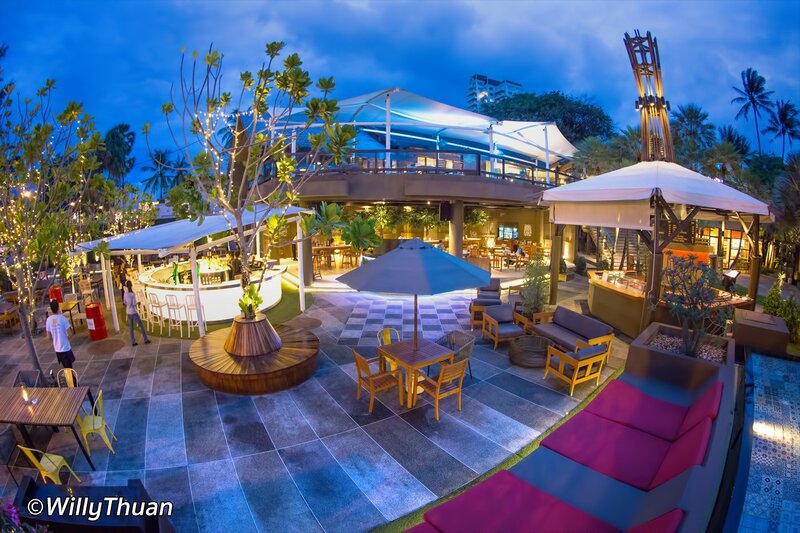 Movenpick Resort Karon has also a surprising number of restaurants, bars and other fancy dining venues all set around an open plaza called ‘Karon Beach Square’, just near the beach. Karon Beach Square near the beach road is where you will find most of the resort restaurants. El Gaucho is the best-known, serving Brazilian Churrasco and great steaks in a well designed restaurant. Cafe Studio is a bakery serving ice-creams, coffees and everything sweet. Mint, a casual bar serving finger food with a live DJ. 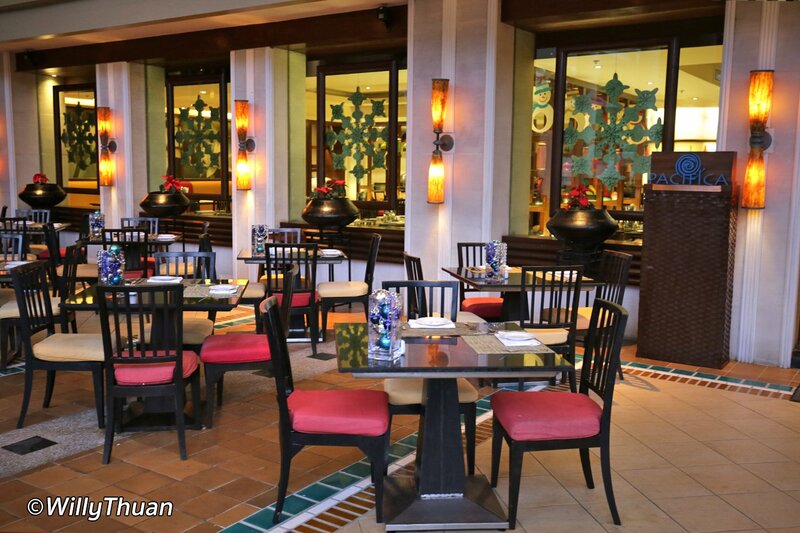 Plenty of dining and drinking options with great music is perfect to enjoy the evening al fresco. The many large sofas that look like outdoor beds are perfect to hang after a hard walking day! 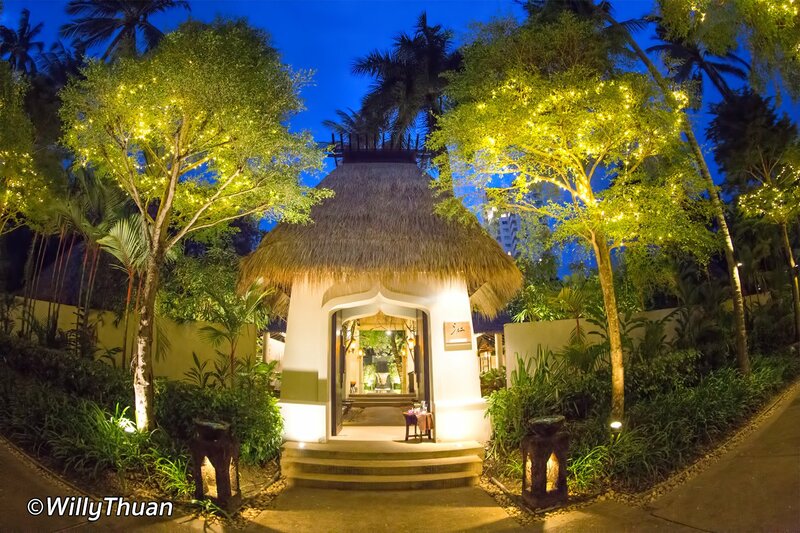 Let’s not forget the beautiful spa and its earth tones and straw roofs blending into the garden, surrounded by many large coconut trees. This is where you will want to be at the end of an exploration day or after too much sun, not to mention a rainy day. In this case, better book early because spa is what everyone thinks of when it starts to rain. 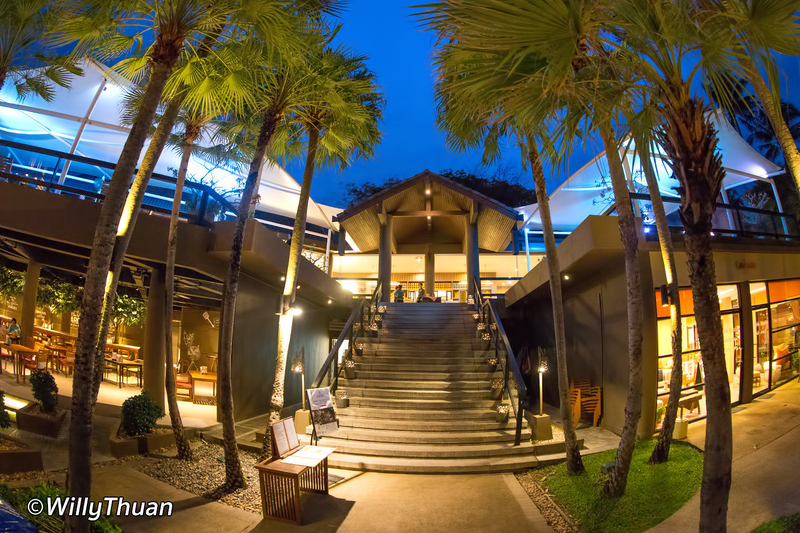 Staying at Movenpick Resort Karon is all about location and convenience as we wanted to be able to drive out easily in all directions; or not to move at all, just hang around or walk to the nearby night market or to the many restaurants in the small town of Karon. Well priced, great staff and so much choice of things to do… or do nothing!